A proper faucet that serves your needs and is free of any leakages is an indispensable part of every kitchen. It provides satisfaction to every homeowner and keeps the sink area clean. Unfortunately, kitchen faucets may become faulty with time, and require replacement. This article explains different situations that warrant a kitchen faucet replacement. Leaking water is perhaps one of the most frequent problems in faucets. Not only is it annoying to find water in the sink, but it also increases water bills. Leakages may occur due to faulty O rings, corroded valve seats, rust, worn out washers, loose parts and worn out seals.If you have noticed that your faucet continues to leak, even after turning the handle to the end, consider purchasing a new faucet or finding a plumber to help you out. Replacing the entire faucet ensures that you are buying all necessary parts required during installation. Instead of trying to fix old faucets, scout the market for better faucets. ●	Updating to newer models: This will help you change the kitchen look, and if you are planning to sell the house, it may gain attention from buyers. Also, having a newer model ensures that replacements are done quickly since the faucets are available on the market. ●	Incorporating new technology into your kitchen: This is achieved through the use of water conservative faucets or finding some that are easier to replace.Fortunately, there are several top rated kitchen faucet in the market to choose from, with a majority starting from $200. Some of the top brands include Kohler, Moen, Delta, Grohe, Danze, and Kraus. Each of these brands features pull-out, pull-down, separate spray, two handles, motionless, and any other faucet design you would like. Ensure that you purchase a quality faucet that will serve you for more years. The faucet should be comfortable to use, depending on the size and type of sink in your kitchen. If, for instance, the faucet is arched too high, it may cause splashing and therefore need replacement. On the other hand, your faucet could be too short and force you to wash your utensils at the edge, with your hands knocking against the back side. For maximum comfort, analyze your sink and ask for advice before making any purchases. This will ensure that you find the best faucet to suit your needs, and still get worth for your money. 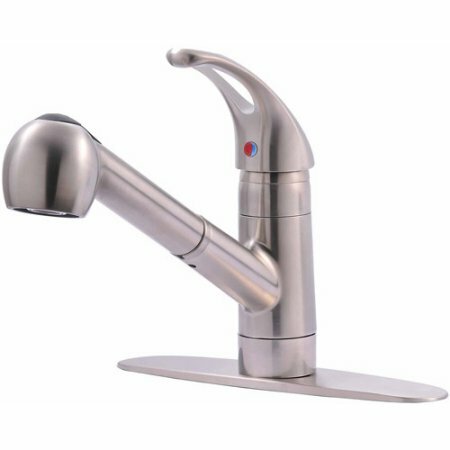 A kitchen faucet is an indispensable fitting, that is part of daily activities in the kitchen. Once you have a quality faucet, you can enjoy dry sinks, easier cleaning times, and avoid frustrations due to dripping water. While a quality kitchen faucet will cost you more, it is an advantage in the long run and worth considering.